Polychromatic beam, similar to the laser lightDMX control system: 2 DMX mode, 1/3CH, adjustable ligh.. 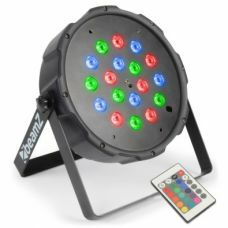 The LED Waterwave from Acme is equipped with a powerful 10W LED and is a great background effect for..
DELUGE LED-WAV-50WNow in stock!! !Acme 50W LED Deluge Ultra Bright White LED Mood LightThe Acme Delug.. 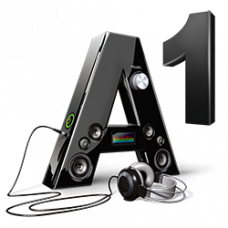 The Acme Venom is powered by 6 X 3W pods of tri-coloured LEDs housed in a lightweight, robust housin.. 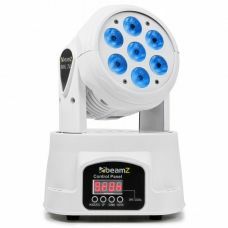 The Stinger offers 3-FX-IN-1 utilizes three light sources – six 5W hex-LEDs, eight 3W whit..
OVERVIEWThe Multi Acis III is a 3-in-1 effect combining a red and green laser with a RGBAW rotating ..
BEAMZ BS98 STROBO 98 LED STROBE LIGHT WITH IR REMOTEA slimline DMX strobe with 98x SMD 5730 LEDs pro..
FilesManual.pdf (0.2 MB)DetailsA 1200W professional ice fogger using ice to cool the smoke prod.. This big strobe features 100 white LEDs for a high light output and has a low power consumption. Wit.. This flatpar is a par with 18 super bright 1W RGB LEDs in a compact casing that can fit almost anywh.. This flatpar is a par with 186 super bright RGBW LEDs in a compact casing that can fit almost anywhe..
Manual.pdf (0.8 MB)ManualQUICK_START.pdf (0.5 MB)DetailsA kit of 4 FlatPARs on a T-bar wit..
beamZ MHL-74 LED MOVING HEAD WASH 7X10W 13CH QUAD RGBW LEDS DMX WHITER 2,780.00 R 4,000.00Quant..